For those of you who have mild shopping addictions, this article may destroy you (or just your wallet). If you are unaware, the popular online shopping site, Etsy.com is made for all types of people, including us —the nerds! Whether you prefer anime, gaming or comic books, Etsy has something (if not everything) for you. Another unique element to this website is that most of these items are entirely handmade, and although some goodies may be a tad pricy, there are still countless great deals available. We have decided to list some amazing finds for you here. Enjoy! Who doesn’t want to cuddle their favorite, slow talking alien? I know I would love to. I mean, just look at that cute, non-existent face! For those looking to game-up their business attire or even their wedding tux, let Solid Snake be with you. How can someone deny your badassery then? That’s right — they can’t. Okay, I must admit that I have personally purchased this item. Not only were the quality of the charms excellent, but the price was fair and the seller is extremely kind. Props to you, TheZombieMama! 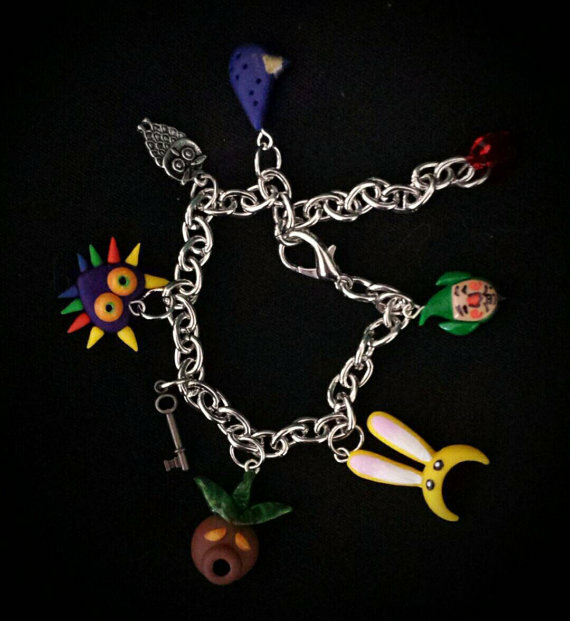 If you love all things jewelry and Zelda, I would highly recommend this item. There has always been something special about the energy sword in the Halo series. Not only was it the galactic equivalent to the end-all flamethrower in military games, but it just looks great too. 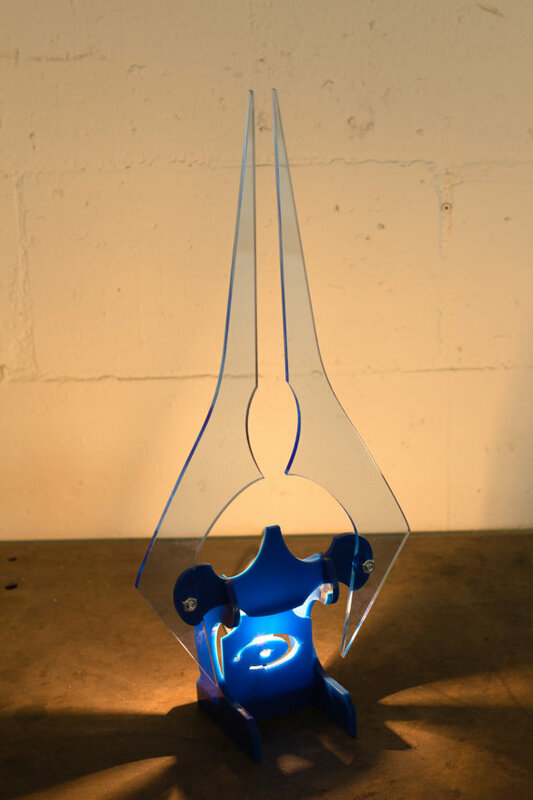 The light blue glow and edgy design makes for a perfect addition to your gaming room, or just any room for that matter. 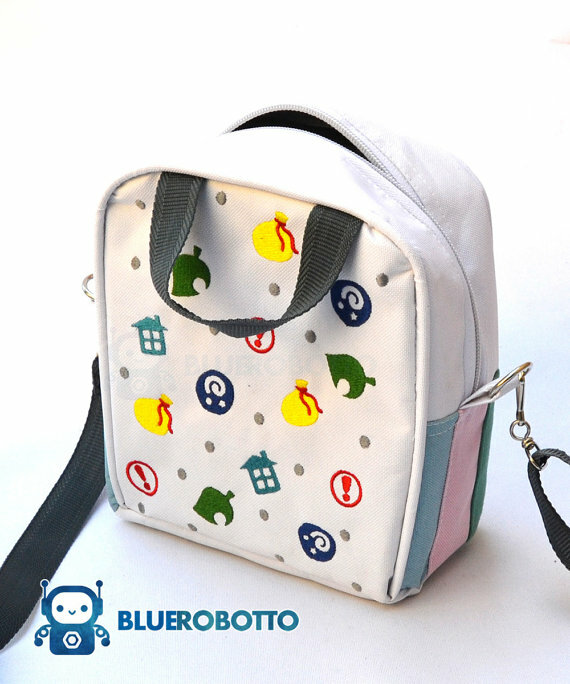 Shortly after the 3DSXL collectors edition was released for Animal Crossing: New Leaf, this pattern became very popular among fans of the series. You can now find it in jewelry, clothes, phone, handheld cases, and other items. This is mostly due to the fact that this pattern is simple, yet still so adorable. A worthy item that I am continuously searching for on Etsy, are custom shoes — whether they be heels, wedges or even tennis shoes. 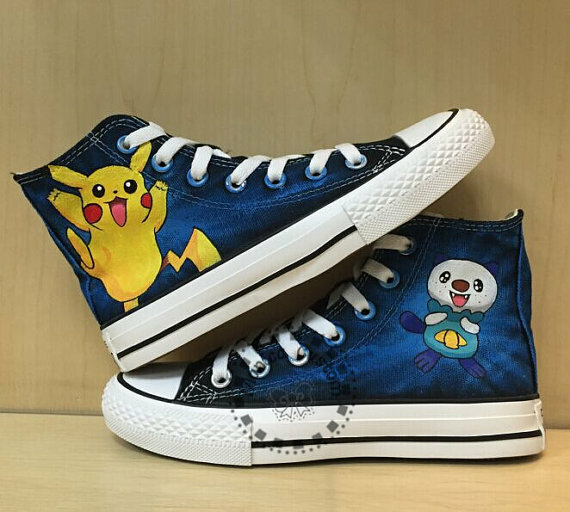 Surprisingly, there are plenty of crafty sellers who are incredibly talented when it comes to painting shoes. If you’re someone who often sports plain colors, a pair of custom shoes could really spice up your wardrobe. Also, who doesn’t want to see Oshawott’s adorable face when tying their laces? 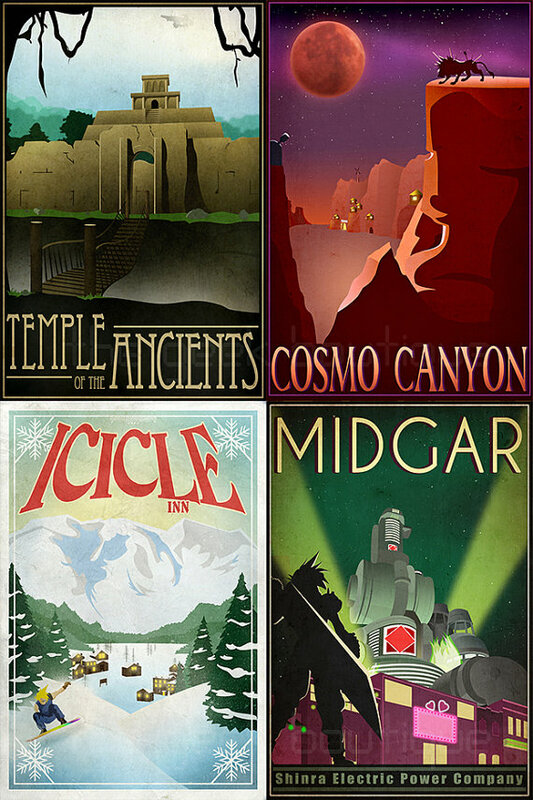 One item of decoration that has really become popular over that last few years are travel posters. Meant to imitate advertisements found in the offices of travel agencies, these new works of art feature all sorts of fictional locations. You can find posters of Hogwarts castle, The Shire, Naboo and many others. Sometimes it takes a few dollars to really spice up your gaming setup. 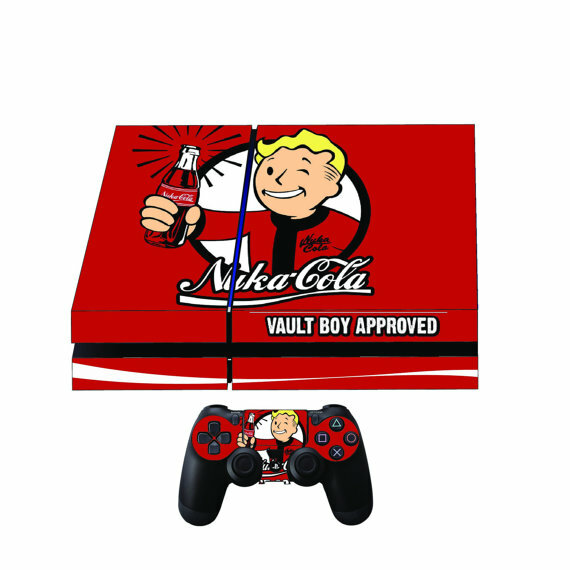 If you’re looking to find decals, custom controllers or console stands, Etsy has multiple options for you. I personally have a few custom Fable items myself. For most women, Etsy is the ‘creme dela creme’ for unique necklaces. Over the nearly seven years I have been an active buyer on Etsy, I have purchased multiple necklace pieces. I have a matching Tatl & Tael necklace set, a Peter Pan compass necklace, a Harry Potter inspired Liquid Luck necklace and so many others. 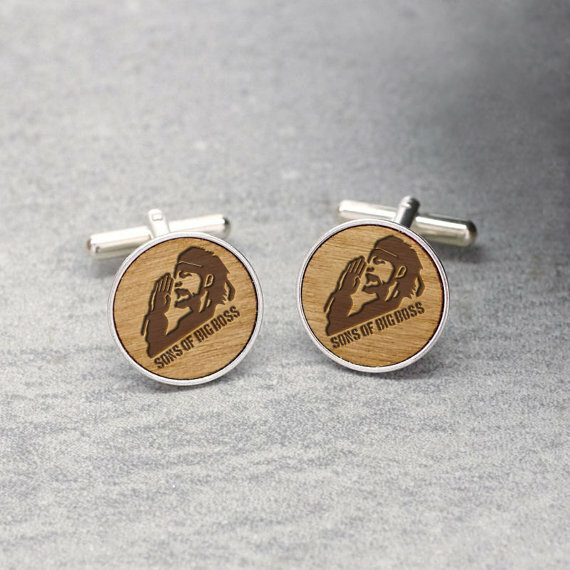 These also make for great gifts. 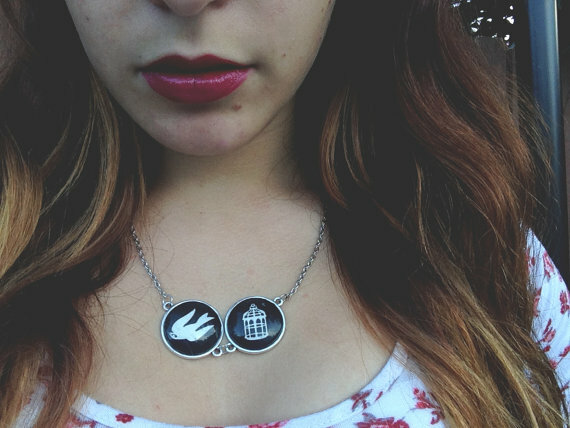 Last year I purchased a friend a Haunted Mansion inspired necklace for less than 20 dollars. Go check them out for yourself. I’m sure they will not disappoint. As an Etsy connoisseur, I have ran into very few problems on the website. Of course, there are always things to be skeptical of, but if you follow the rules below, you should be fine! 1. Always check where the item is shipping from. If it is out of the country (especially China), make sure to double check shipping rates. You may be able to find the same type of item, within your own country. 2. Always check the reviews. Also, make sure to leave a review of the item when you received, it could help a fellow shopper find what is right for them. 3. REVIEW THE ITEM INFORMATION BEFORE YOU BUY. This can be found under the image of the item itself under ‘Item Details’ and ‘Shipping & Policies.’ Here is where you may find stipulations, important refund policies, and other crucial info. Don’t forget this step! 4. If you’re buying someone a gift from Etsy, order at least a month in advance! Sometimes the best items ship from states away, and if the seller uses USPS, it could take a while to get to you. Overall, Etsy is an amazing place to shop. Aside from supporting small business, craftiness and art, Etsy is rather affordable and unique to boot. Happy shopping to you!